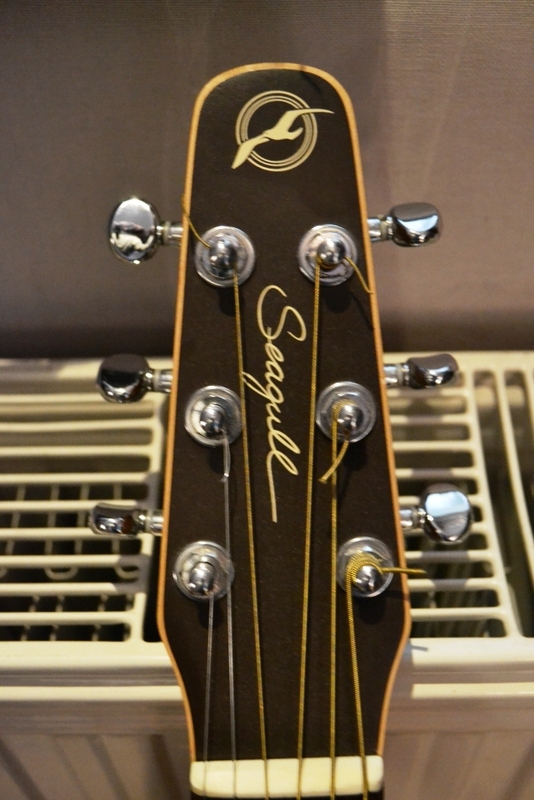 S6 Original Left, Left-Handed Acoustic Guitar from Seagull in the Original series. The MODEL I is the S6 dlx left. Table in solid red cedar, cherry wicker covers the bottom and 3 layers. Mahogany. Rosewood fingerboard and bridge, 21 frets. The satin finish is soft to the touch trs trs but also fragile. The profile of the handle is in V. It does not ask me any specific problem in the game, but I play mainly with the basic agreements. The frets do not hang. It does not possde cutaway so dernires Access in boxes is not easy. It is well trslgre balance. I played for 11 years regularly, it is never far from me, and I must say that like good wine, the sound keeps s'amliorer. 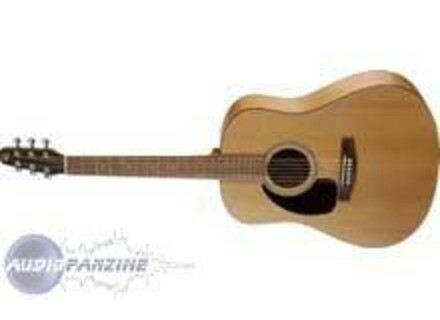 In short, I tried Takamine instruments and other high-end, none got as much sduit my Seagull. 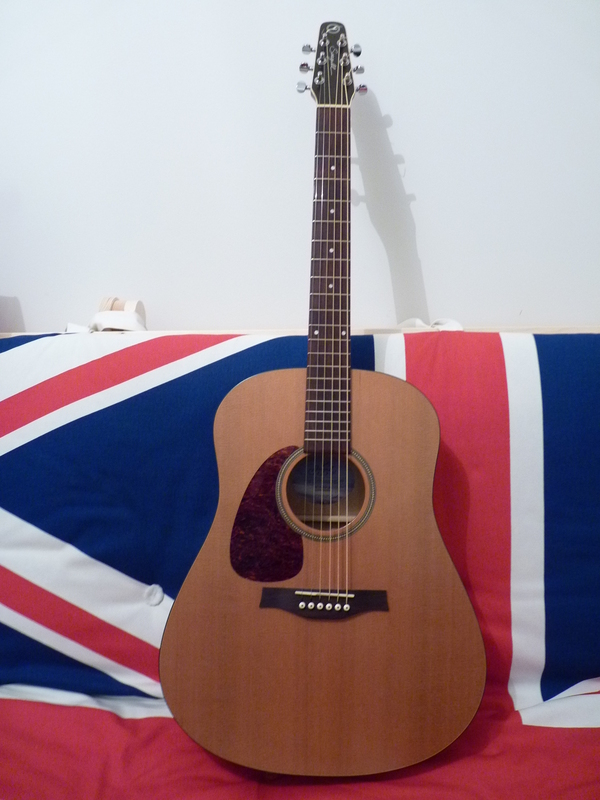 I love this guitar ... She and me is a love story that lasts for 11 years. The report qualitprix is ​​excellent. Seagull does not have the success that this brand MRIT. Sr it is not Martin or Gibson, this is not a sign of legends, but it's a brand that wins be known as the instruments are of quality. Although Obviously, if c'tait again without hsiter I Rasht. I have an S12 now even that has the same qualities as the strings 6. Manufactures hand, countries with adults other than with a bowl of soup (those with "Made in China" will understand) MOTHERLAND in QUEBEC, CANADA. The finish is remarkable perceived, woods are not varnished, it seems to have the scratches out of a luthier. The solid top is cedar. the 22 keys and rosewood bridge. Message for the breakers and other Ghulam irons: Gaffe you is beautiful and the sound is incredible, but it's not a guitar track ... The slightest touch of nail and mark life ... forget Donations gypsy percussion on the table with the chevalire gold! The neck is super wide (like a classical) and relatively late. It is not primarily the guitar easier to play, but the sound is so warm that we forget what dtail IMMEDIATELY. Personally I did shave the saddle RVision THE FIRST, because the string action was a little high. Me I use it for all styles, she knows everything. I play every day for over two years and first thing to know: It's a real musical instrument, not an instrument that makes music! So I deprecated in Premire skyscraper, a would be a shame to finish the ornament in the living room. Since acquiring the sound was truly possible amlior was hard to be defined, but has reason better and more rounded. The sustain is incredible Completely. Low captivating, even on the barre chords. I play finger systmatiquement without mdiator and even as a, it sends super strong. * Very sensitive to "small strokes"